“It has come to our attention that a video of an incident involving Sun Life and Manila House has been circulating online. We would like to inform the public that the situation has already been amicably settled. I saw the video. Sira ang image ni Rico Ocampo. He's super rude. He could have handled the situation differently. The executive complained that the portion of salmon wasn't the same as the one served during tasting. Rico Ocampo blew up. Shouted at the woman (who was very calm), grabbed the woman's phone and said "Pay for your f__king bill!, among other invectives. Not appropriate behavior for a person who owns/ runs a "classy" place. oh yeah seriously if you are elite, why care about the salmon portions? I mean we all know that salmon portions vary. They don't look the same when plated. Anong issue? Hinanap ko to online wala akong makita. Too late. We all know you can't buy class... and breeding. Bastos ung taga manila house! 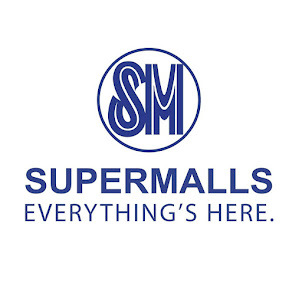 Sana man lang nakipg usap ng maayos and edukado . Ngawa ng ngawa ung taga manila house na parang ingawan ng lalaki ! bawal kasi doon pag hindi member. basta ang alam ko yun lalaki yung may ari ng Manila House. Help classmates! Ano pong hanash? Anu pong video im a sunlife policy holder and im curious about the issue? 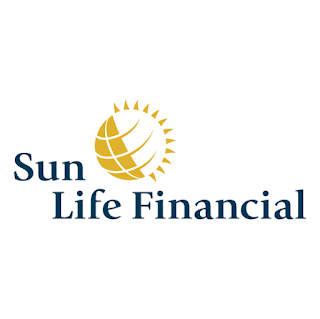 Woman in video and complainant is NOT the Sun Life CEO. Event was for a totally different occasion. Also, since this issue has been settled by both parties, I suggest that we just leave them be. 12:14, I think na-confuse lang si 4:31 kay 2:59 dahil sa construction ng sentence sa beginning. oo nga, 1st sentence kasi sabi Sun Life CEO had a birthday dinner there. confusing ba yung susunod na sinabi ni 2:59. event yan nung girl in red dress with her team and she is not the company CEO. magulo ang chikahan dito mga baks dahil wala naman talagang makitang video so we don't know and bakit may PA nakapasok sa Manila HOuse kala ko ba yung CEO ang may party? in this day and age, any establishment cannot request not to spread any video esp if its a scandal. I've seen 2 videos. There was yelling...cursing...phone grabbing...and something about salmon. I still don't know what really happened. nag food tasting pero nung event na iba yung sinerve, ayaw bayaran kasi mali yung pagkain. Ayaw bayaran dahil mas konti raw yung serving kaysa sa food tasting. How can you tell na pasosyal at wlang pambayad ung girl based from the video you watched?! No, get your facts straight. During tasting, they were served a whole fillet of salmon and that's what they agreed with to serve during the event. Kaso hindi naiserve ang whole, half lang so the customers complained. And even if the customer was wrong in some way, it does not mean she is to be harassed by the manager of the establishment! The woman kept her cool kahit na minumura at binawi pa ang cellphone niya. Ang bastos kaya ng manager. Yes there are 2 sides to every story but in this day and age of cellphone cameras and instant online uploading unfortunately airing both sides will just fan the flames. One customer does NOT represent the entire corporate customer. Just like one restaurant personnel does not represent the entire staff. In this case however it was THE BOSS/OWNER who acted horribly and showed his (lack of) breeding. If your own staff, managers, waiters have to hold you back then what does that say about you? The least he could have done was ask one of his STAFF to do the arguing for him. Three sides. The third side is the truth. rico has the right to kick people out of his exclusive membership only club. Baka may nakapasok na non members. Napanood mo ba ang video? if not better be quiet nalang kesa anong hakahaka ang comment mo. nakapag food tasting na yung tao dun, nakakain na etc. hindi yan anng issue na may nakapasok na non members. about sa servings daw ang problema base sa video na napanood ko. Tinanggal na ata ang videos. Cant find it anywhere and who is Rico Ocampo? Agree! Dapat noong pagka-serve pa lang, umangal na siya. Hindi iyong kinain muna bago umangal na maliit ang portion. Ay naku! ay ang gagaling nyo no? sure kayo hindi sila nagcomplain pagkahain palang ng food? at isa pa, kahit naihain na, nagcomplain ka habang kumakain e ano? me tasting pa nga e so ibig sabihin expected guests sila e panong gagawin kunwari yung nagcater ng food sa party sa bahay mo imbes na 2 trays ng bihon ang dala e iisa lang at andyan na mga bisita mo? di mo pakakainin mga tao? 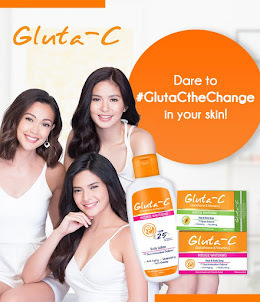 bakit ikaw ba yung nandon the? 1:34 nanood ka lang din di ba. If you are respresenting an elite membership club then having Class and dignity should go without saying. Top rated hospitality staff are trained to handle all situations with poise, and the club has sufficient security to handle violence. In this case it’s shocking to see the director of the club act in such a violent and entitled manner. It’s an embarrassment to members, guests, and the hard working staff there. if the director or part owner is right then he should be able to express himself freely. In fact he has all the right to kick people out of his establishment. Daming nagtatanggol kay Rico dito eh kitang kita sa video na siya ang nagwawala. Instead of shouting to the customer who refused to pay, pinapulis na LNG Sana nya! Yup! Alam niya na may nagvi-video kaya kunwari siya ang mabait. true, come to think of it Rico has the right to kick people out of his resto. yes both have faults hindi din ako maniwala sa nagtatanggol sa PA ng CEO just because they are guests. Kung tutuusin bakit nakapasok ang PA? hello. Members only. Come to think of it, the guy ruined their trying hard to be a private & exclusive club with his behavior. He just proved that he belongs to the palengke. Isn’t it, that’s how people without breeding act? No class. He belongs to the palengke. The issue here is not the salmon, nor the act of not paying the bill. The main point here is the way that guy reacted to the situation. Kung d magbayad eh d kasuhan nyo, ipapulis etc etc. Eh nagtatalak ka ng pay ur Fu<kng billlllllllllll. As if makakatakas yan eh ang dami nyo po dyan. Juskopo ang breeding lumipad! Nag-init na kasi ang ulo dahil hindi naman libre ang ginastos nila para doon. What he did is considered "assault." I hope the settlement was substantial. Rico ocampo is wrong for the outburst, but the other lady is really annoying. Acting like some super royalty there. The video was short, it didn’t show what happened before the that. We know, we were there during the event. So some of the guys here are indeed right, there are numerous sides of every story. If endorsed sila ng member, the latter will be accountable sa Manila House if takbuhan nila yung bayad. So medyo misplaced ang meltdown ni Mr. Ocampo.